This morning it was pretty cloudy and I didn't think I would get anything at Sprague Lake. Then, in the blink of an eye the entire scene began to glow this wonderful purple. 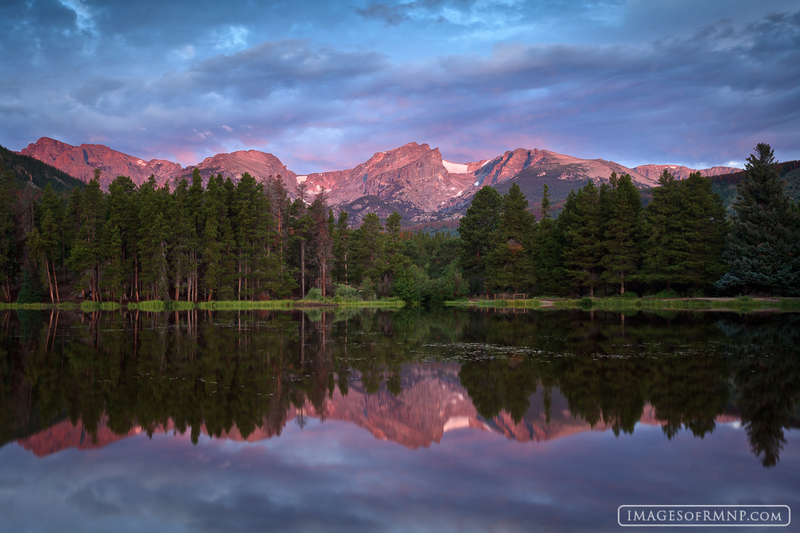 Hallett Peak and the entire continental divide took on this warm hue while the clouds above glowed in pastels. For once there was no wind and so I had a nearly perfect reflection. Photo © copyright by Erik Stensland.